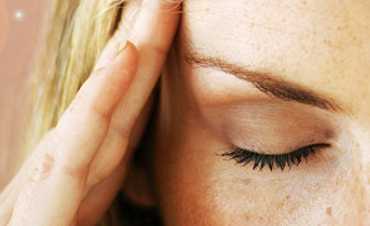 Simple habits can go far toward keeping migraines to a minimum. Here, a few everyday solutions. When we wait too long between meals, our blood sugar levels dip, which can trigger a migraine. Carry healthy snacks—a handful of unsalted nuts, organic dried fruit or vegetables with hummus—so you never get too depleted. Stay very well-hydrated, too. Some research suggests that supplementing your diet with vitamin B2, magnesium, coenzyme Q10 (CoQ10) and/or the herbs feverfew and butterbur may help prevent migraines. Just remember to loop in your doctor if you decide to try any supplements, especially if you're pregnant or nursing. What Are The Best Low Carb Protein Powder? All Copyrights Reserved @ www.tips2healthy.com 2019. Simple theme. Powered by Blogger. The material in this website www.Tips2Healthy.com is intended to be of general informational use and is NOT intended to constitute medical advice, probable diagnosis, or recommended treatments and also results may vary from person to person. Its for purely Information or Education only..!!! Some of the features are: A Consolidated unique information sections from different sources for all Health related topics and tips that covers on Women/Men/Child care, Skin/Hair, Yoga/Meditation and Home Remedies from different sources. Fully collective sources on comprehensive sections of Health Care and Tips for men, women, children, teen and seniors.